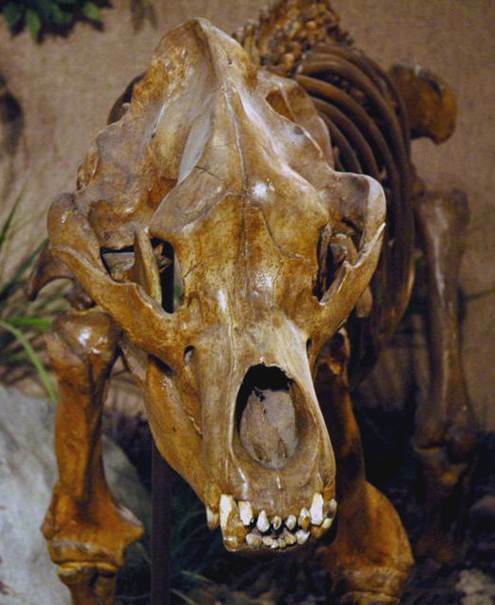 The cave bear, Ursus spelaeus, was an important component of Europe’s Pleistocene mammalian biota. The species is represented by abundant fossil bones, typically found in cave deposits (the species name “spelaeus” means “cave”). Like extant bears, Ursus spelaeus was omnivorous. It went extinct near the end of the Pleistocene (~10,000 years ago). 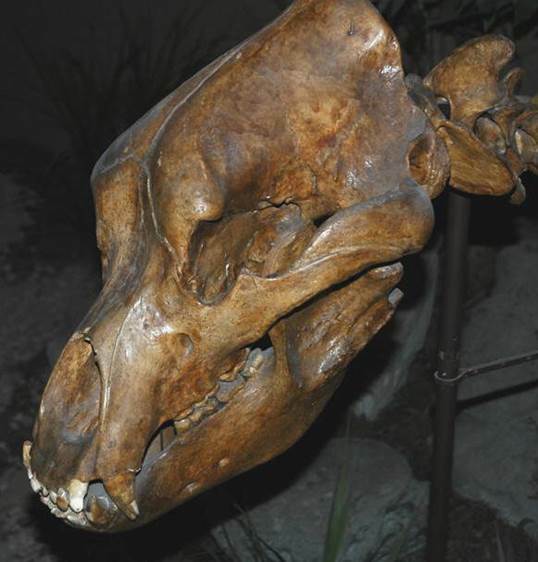 Cave bear fossils have long been known - the species was first described & named in 1794 by Johann Christian Rosenmüller & Johann Christian August Heinroth. 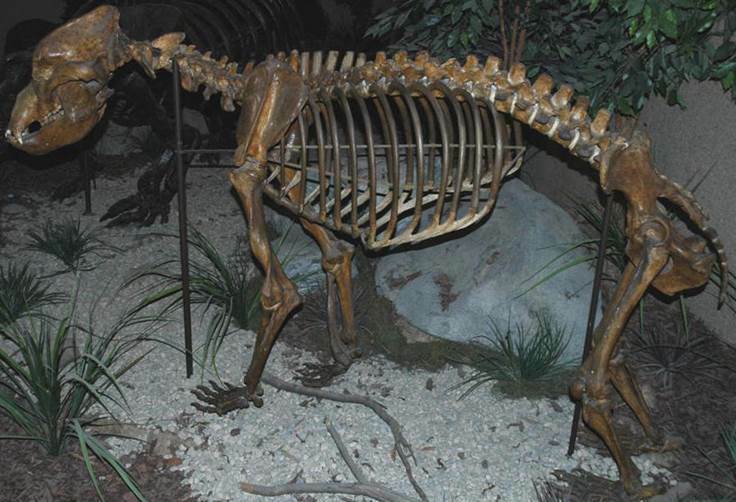 Ursus spelaeus cave bear skeleton from the Pleistocene of France. Specimen owned by Princeton University & on public display at Carnegie Museum of Natural History (Pittsburgh, Pennsylvania, USA). Ursus spelaeus cave bear skull from the Pleistocene of France. 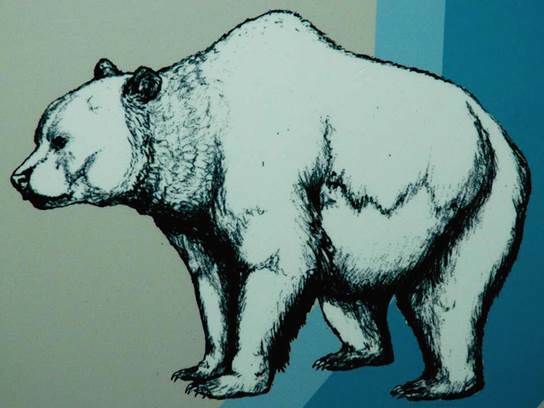 Ursus spelaeus cave bear reconstruction (from Carnegie Museum of Natural History signage, Pittsburgh, Pennsylvania).